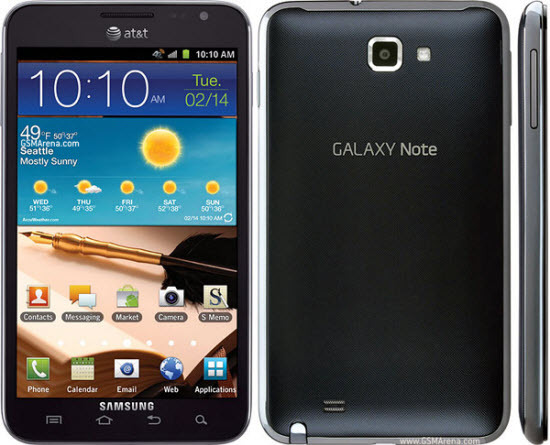 Over the period of this article we will be checking out on how to flash the liquid smooth 8 ROM in the AT&T Samsung Galaxy Note SGH-I717. From the name itself you may assume it will have the liquid smooth performance. It also comes with many new features. So, by using this definitely you will get a new experience. Finally, make sure your device is installed with ClockWorkMod Recovery. 1. First download the Liquid Smooth ROM from here or here to your computer. 2. Once downloaded copy the same into your phone’s SD Card. 3. After that Switch your phone off. 4. Then boot your device into the ClockworkMod Recovery by press and hold the Volume Up and Power buttons together until the screen turns on. Release the Power button but keep pressing the Volume Up key until the phone boots into recovery. NOTE: You can use the Volume keys to navigate and the Power button to select an item or option in recovery. 5. After that make a nandroid backup of your current ROM. Go to backup and restore and select the backup. 6. Select the Wipe Data/Factory Reset and confirm the action on the next screen. 7. Select Wipe Cache Partition and confirm the action on the next screen. 8. Select Mounts and Storage and select Format System. Wait for the process to finish. 9. Select Advanced and select Wipe Dalvik Cache. Wait for the process to finish. 10. Select Install ZIP from SD Card. 11. Again Select Choose ZIP from SD Card and navigate to the Liquid-JB-v2.0-RC-d2att.zip file. Select the file and confirm the action. 12. Finally Select Go Back and select Reboot System Now. This will reboot your phone to the newly installed LiquidSmooth v2.0 RC8 ROM. That’s it you’ve done everything Congrats!